The Magic Artist. During his career his programs were endorsed by literally thousands of school administrators and parent teacher groups in the eastern United States. He probably presented LIVE school shows for more young people than any other performer of his time on the American assembly platform. With a record of more than 18,000 shows, he was considered an entertainer with an educator's point of view. His presentations won the unqualified approval of young audiences from Connecticut to Florida (and their teachers, administrators, moms and dads, too.) Edd Patterson is now retired. This book brings him alive to a new generation. 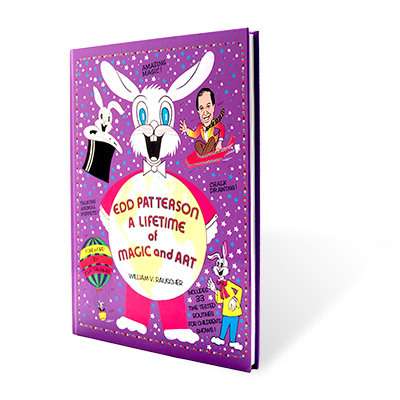 Apart from his life story, there are included some 33 time-tested routines for children's shows along with the ideas and thoughts from his life as master shcool show performer. Included with this book is a complementary DVD of Edd Patterson on stage.